And if Tesla can't install 100MWh of batteries in 100 days, the system will be free. Lyndon Rive, co-founder of Solar City and head of Tesla's energy division, believes that his company could fix an Australian state's energy woes in just 100 days. 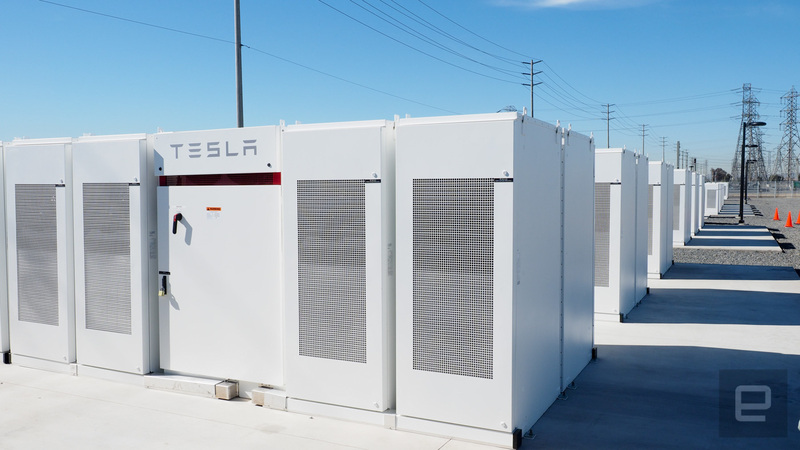 Rive was talking to Australia's Financial Review, claiming that Tesla could build between 100-300MWh of battery storage in that short a time. It's a bet that his cousin (and boss) Elon Musk was eager to take up, later tweeting that Tesla would do the work for free if it missed that deadline. The state of South Australia has been gripped by an energy crisis that has seen surging prices and frequent blackouts. The loss of two coal plants in the last few months have caused wholesale prices to peak at the state maximum of $14,000 per MWh. A lack of political will to solve the crisis and no scheme to build renewables means that the state stands on the precipice. Adding battery storage to the system will, in theory, even out the state's power supply issues in the short and medium terms. After all, they can be charged up when demand is low and release the energy back during spikes to ensure blackouts aren't too frequent. Tesla does have previous experience in this space, getting a 80MWh battery plant installed in California in just 90 days. That plant was commissioned after the Aliso Canyon natural gas facility was unexpectedly closed after a massive leak. Australian billionaire Michael Cannon-Brookes, the co-founder of Atlassian, decided to contact Musk and Rive to enquire how serious the offer was. Musk responded in the affirmative, and later added that he would offer the system at US$250 per kWh of storage, with the project costing around $25 million in total. Financial Review believes that that's around half the pre-discount price normally on offer. Cannon-Brookes subsequently tweeted that he's working to source the money and political consent to get the system working. The government is ready to "work with companies with serious proposals," said Australia's environment and energy minister Josh Frudenberg to Reuters. Tesla's offer is being taken seriously, although it remains to be seen if the Australian government can get things moving within the seven-day deadline. That may not matter to Musk, who once again comes off looking like the great savior of the moribund energy infrastructure industry.